VUE, National Contemporary Art Fair, 2 November-5 November 2017 RHA Gallery, Dublin. 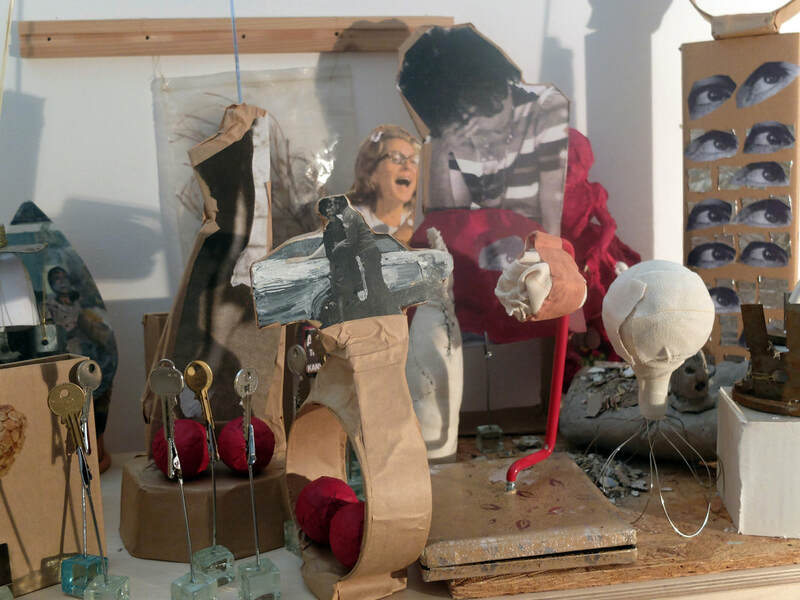 For VUE 2017 Vicky Smith built a mixed media city sculpture from recyclable found materials, cardboard cut outs, clay, cement, wood and collaged photographs. She took a photograph of the sculpture focusing on female figures, the city, rubbish, movement and the effects a city environment has on an individual’s psyche day to day. What impact does the city have on climate change? Can a city be at the forefront of sustainable urban development by pursuing a zero-emission policy? In this photograph of fictional street corners, derelict dirt buildings, abstract female figures cut outs that hold their heads in their hands, are gasping out loud bombarding the viewer with the question, how can we fix climate change; do we put cities in charge? The hazardous sense of chaos, panic and anxiety in relation to this question is captured in the photograph. The environment we live in is changing every day, can cities really make a difference to our ever changing world?